Ambaru EA is a fully automated trading system which trades based on market movement to identify trend and signs of reversal with breakout strategy. 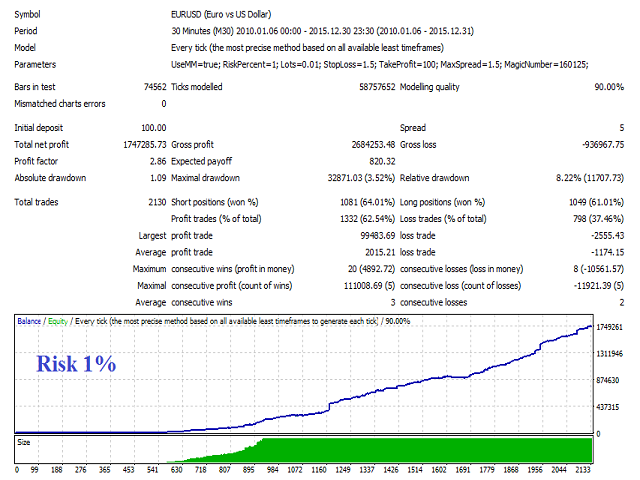 Each trade is protected by Stop Loss and adaptive trade management algorithm to minimize drawdown. 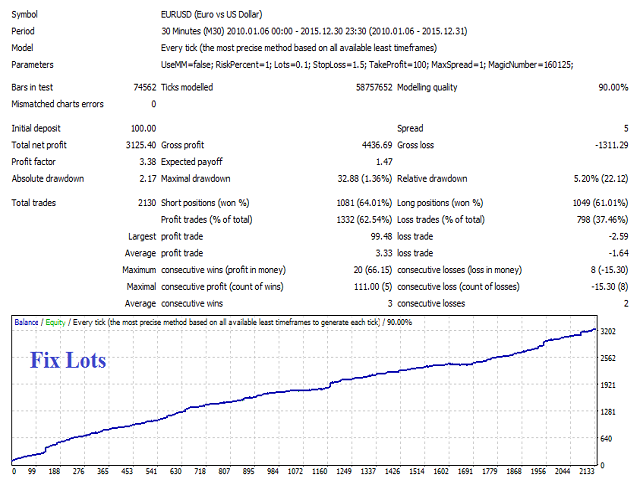 The system is optimized for the currency pair EURUSD and recommended to use ECN/STP broker with low spread, low commission and fast execution. UseMM - set to true to enable auto money management. RiskPercent - risk per trade if UseMM is true. FixedLots - fixed lots size if UseMM is false. MaxLots - maximum lots size. MaxSpread - maximum spread in pips. OrderShift - shift of order in pips. MagicNumber - used to identify an order. ShowInfo - show info panel.